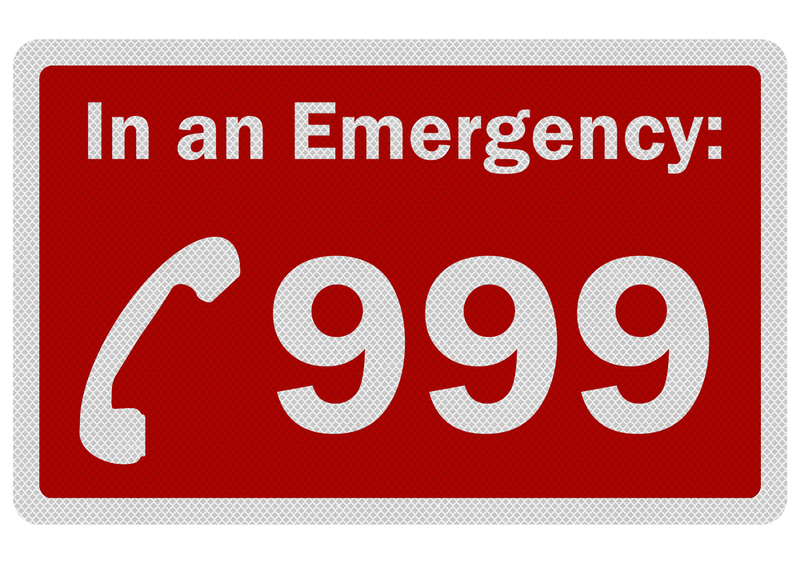 Have you ever used 999 as your response to emergencies? We are used to be familiar with 911 since we are brainwashed movies, electronic media or print media, the number used by them. 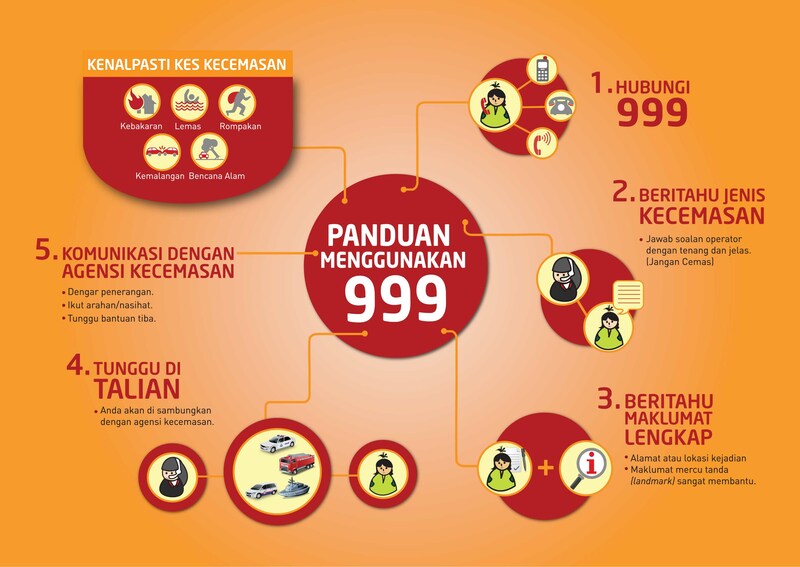 In Malaysia we use the 999 for any emergencies that need the attention of police, fire department or ambulance. It is a central number and help request will be channeled to the relevant department. 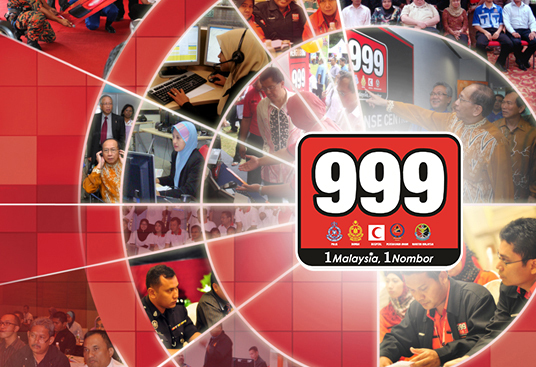 Malaysia is not the only country that used 999 as the emergency number. Read HERE. All GSM mobile phones use this number which can be utilised even without SIM Card or phone is locked. Malaysian Emergency Response Services (MERS 999) at Telekom Malaysia Annexe 2 Building receives on average 83,000 calls a day but only 2.3% are genuine. This was exposed by Communication and Multimedia Minister Datuk Seri Ahmad Shabery Cheek. The centre is manned by 20 staff with 8 hours shifts daily and with such number of calls they need to be diligence and patience and they were commended by the Minister. It is of public awareness and responsibilities not to make prank calls which might cause unnecessary incidents to genuine cases. Pranksters are actually a nuisance to such important emergency number. There are even callers at night just to chat with the operators and this is uncalled for. However, the majority of calls at about 76 per cent received by MERS 999 centres in the federal capital, Melaka and Sarawak were silent calls caused by smartphone users pressing the emergency call button. According to MERS Website, Prank Callers can face a RM50,000 fine, One Year Jail Term, or both if convicted under the Akta Komunikasi dan Multimedia 1998, Seksyen 233. On another twist, according to the Auditor General’s Report 2012, approximately 32% of the total emergency calls to MERS999 went unanswered. Again according to the report, there were a total 23.6 million emergency calls from January to August last year. This works out to 32.4% or 7.6 million unanswered calls. Next Post MH370 – Where Is It Really?